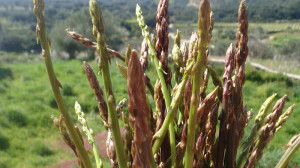 Cut asparagus close to the ground at joints to harvest. Can be eaten raw or cooked by boiling or steaming. 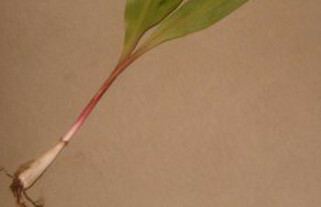 Both stems and spears are edible. Asparagus is full of Vitamin C, iron, and calcium. It prefers the moisture content around water and grows around ditch banks, near ponds and in grassy marsh areas. 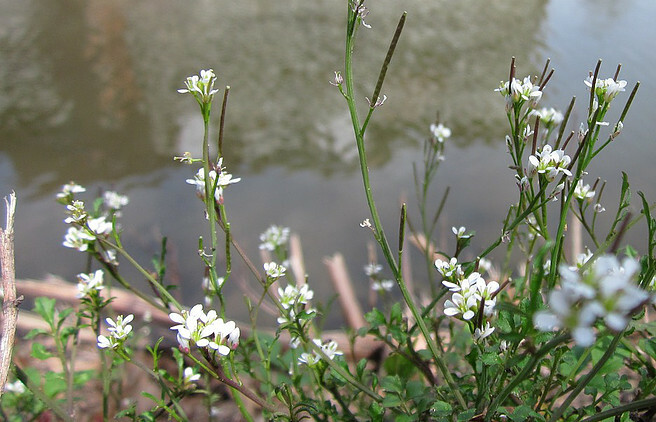 Bittercress leaves can be eaten raw or cooked. 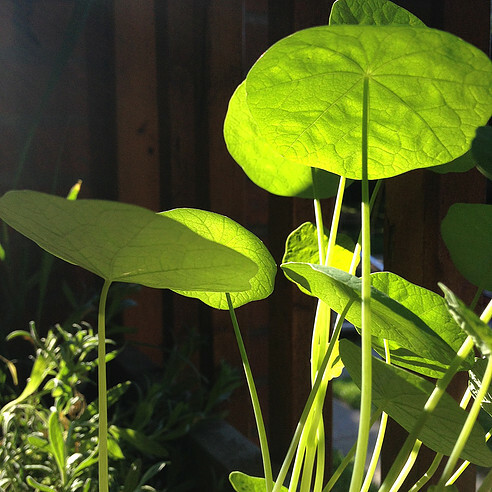 Use the young leaves for salad or or cook the older ones. They have a mild peppery taste. They are rich in vitamin a, b, c, k and minerals. 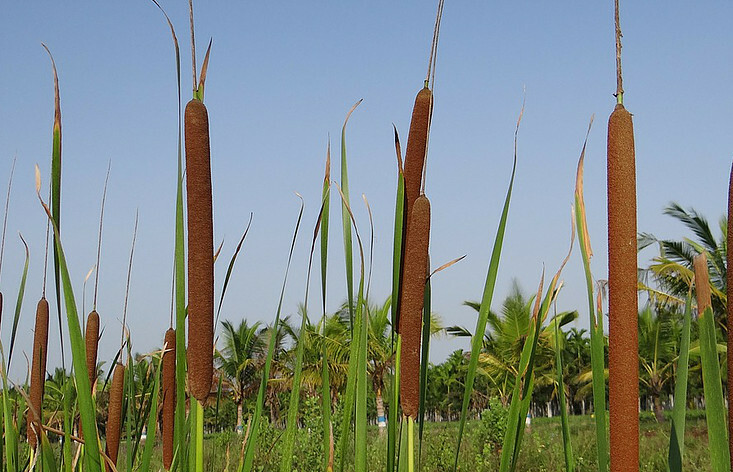 Cattails grow near wet areas. To harvest, dig down with a sharp stick nearby, loosen and pull free.The young tops, the stalk’s white bottom and roots are edible. They have vitamins A, B,and C, potassium and phosphorus. The pollen can be used like flour. Strip the outside root husks, crush in clean water, let them sit and cut up. Boil to make a mashed potato, grind into flour or cook over a fire. Avoid the fiber. It can cause a stomach ache. 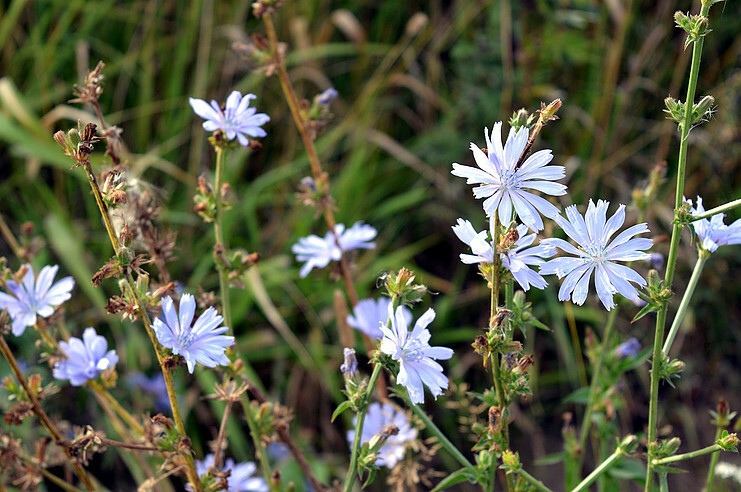 Use Chicory’s young leaves for salads. Boil crown bases. The roots before stalk appears can be boiled in several changes of water. Chicory’s a good source of Thiamin, Niacin and Zinc, Dietary Fiber, Vitamin A, Vitamin C, Vitamin E, Vitamin K, Riboflavin, Vitamin B6, Folate, Pantothenic Acid, Calcium, Iron, Magnesium, Phosphorus, Potassium, Copper and Manganese. 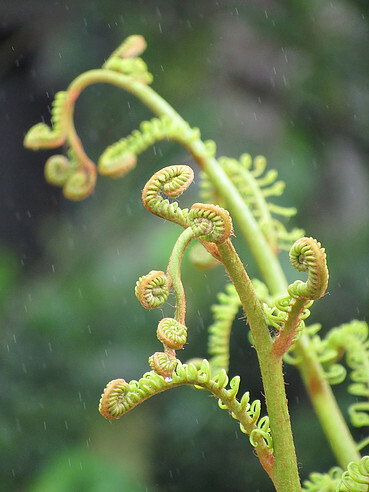 Fiddle head ferns are found in woodlands in well drained soil that holds water. Prepare fiddle heads under two inches by removing yellow brown skin and boiling with a change of water or steaming. 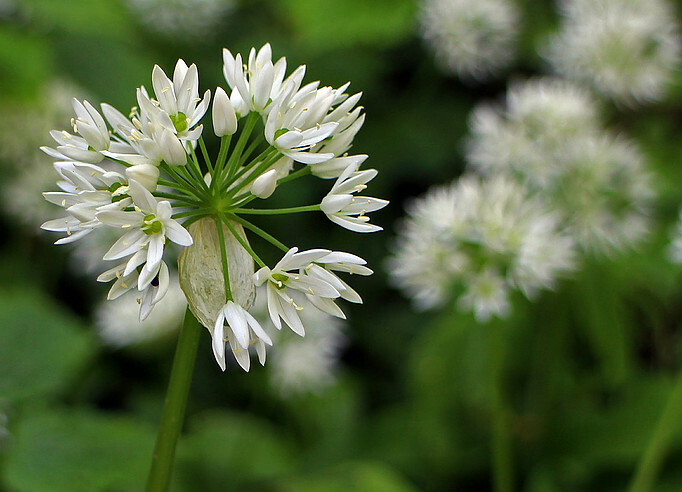 Wild garlic is a bulbous plant that grows in grass like clumps in damp woodlands. 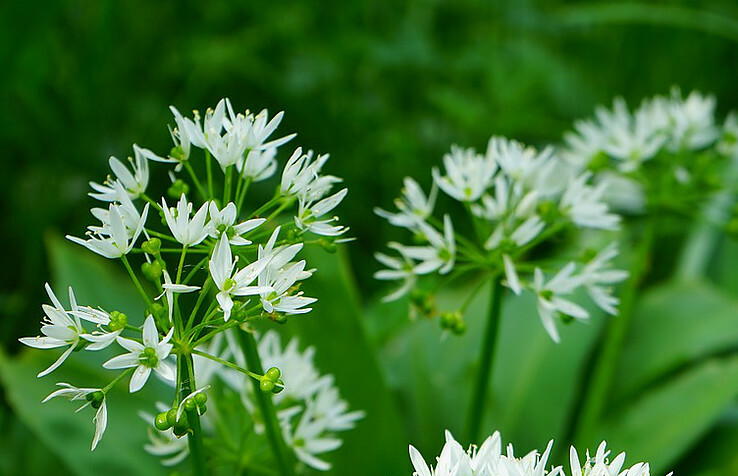 All parts of wild garlic (bulb, leaves and flowers) are edible and can be identified by the garlic odor. 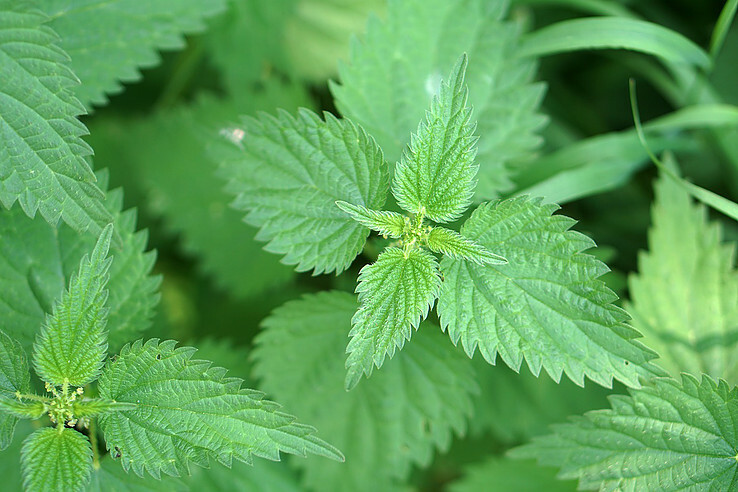 The leaves can be eaten raw or cooked. The bulbs can be used like garlic cloves but the flavor isn’t as strong.Native Americans used wild garlic for food and medicinal purposes to treat asthma, scurvy, digestion, high blood pressure and shortness of breath. Wild leeks grow in the deep woods and are one of the first plants to come up in the spring. The entire plant is edible, the leaves, stalk and bulb and can be identified by their onion smell. It is a good source of Dietary Fiber, Vitamin B6, Folate, Iron and Magnesium, and Vitamin A, Vitamin C, Vitamin K and Manganese. 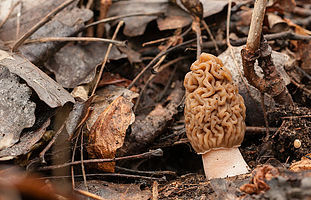 Morels are found in a variety of habitats. Look under dead or fallen trees like dead or dying elms, cherry, apple, ash, poplar, striped maple, grapevines and sycamore and near water sources like creeks or ponds. Cut Morel mushroom’s off above the ground near the bottom of the stalk. Prepare by sauteing or frying 20 minutes. Don’t eat raw or if you’re not sure of their identity since some mushrooms are poisonous. Onions like rich soil and sun but can grow in poor soil with adequate water. Usually found in damp places. The entire plant is edible raw or cooked including the bulbets on top. Some plants look like onions and are poisonous. Onions can be identified by the onion aroma. Rose Hips are the seed pods of roses; if the flowers are left alone to wither on the plant they produce rose hips. Unfortunately many hybrid plants don’t. If the plants are sprayed don’t pick them. Rose hips are edible as are the rose petals. 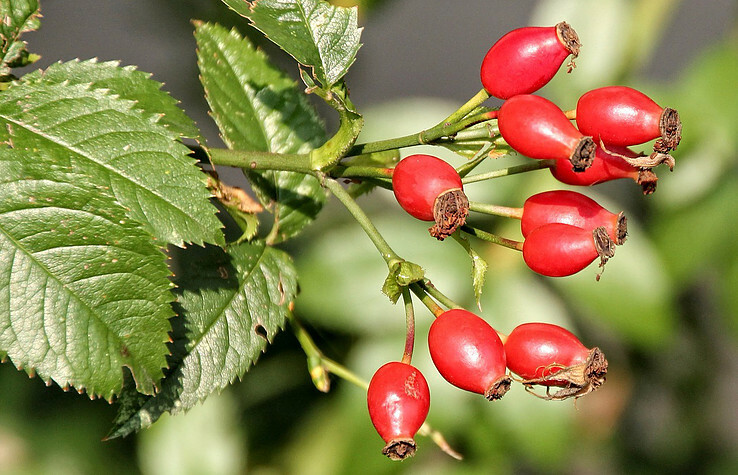 Three rose hips have as much vitamin C as an orange. Wild roses grow on prairies, plateaus, dry slopes, and in open woods, ravines, and thickets. Wild strawberries are found in forests and its edges, in meadows, along creeks and roadsides. It’s a creeping plant that grows sideways on the surface with runners. 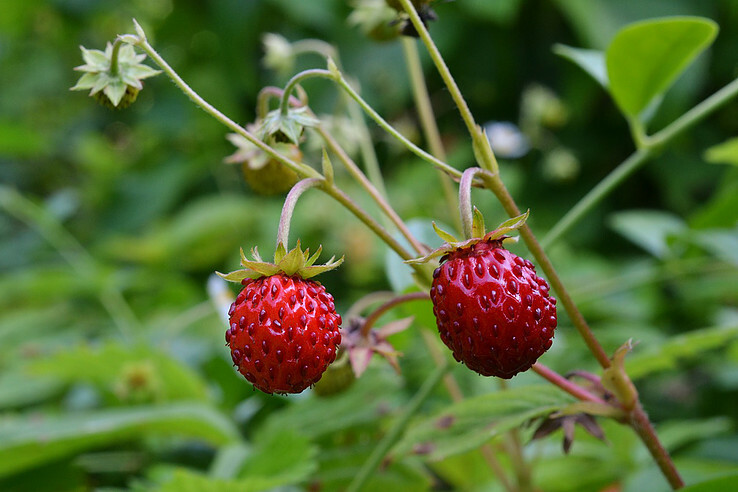 Wild strawberries can be picked and eaten raw or cooked to be used in jams or jellies. The leaves can be dried and used for teas. Watercress contains significant amounts of iron, calcium and folic acid, vitamins A and C. Leaves can be eaten raw in salads or cooked. It is found along streams and shallow running waterways where it forms dense mats.